One from the Nubar Risque Reds collection that was released recently, I really like it. A blue-red creme it applies smoothly (if a little on the thick side, but nothing that can’t be fixed with a couple of drops of thinner), and evenly. There is no shimmer, and no glitter I really like it for a dramatic old-school”Hollywood” nails look. Pic above is two coats shown over an Orly basecoat, and without a topcoat. Okay, it’s not very edgy, but it is classic and pretty, and I like it. 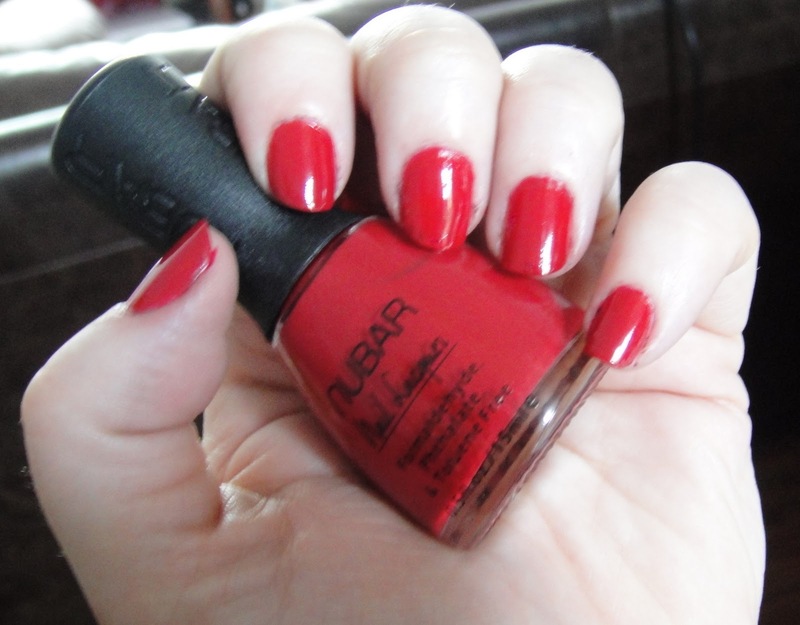 You can buy Nubar polishes from Beautyshed, who are lovely people, they cost £8 each. I think I kind of prefer this shade matte, to be honest, it’s more of a raspberry/cranberry colour once the gloss is removed, what do you think? 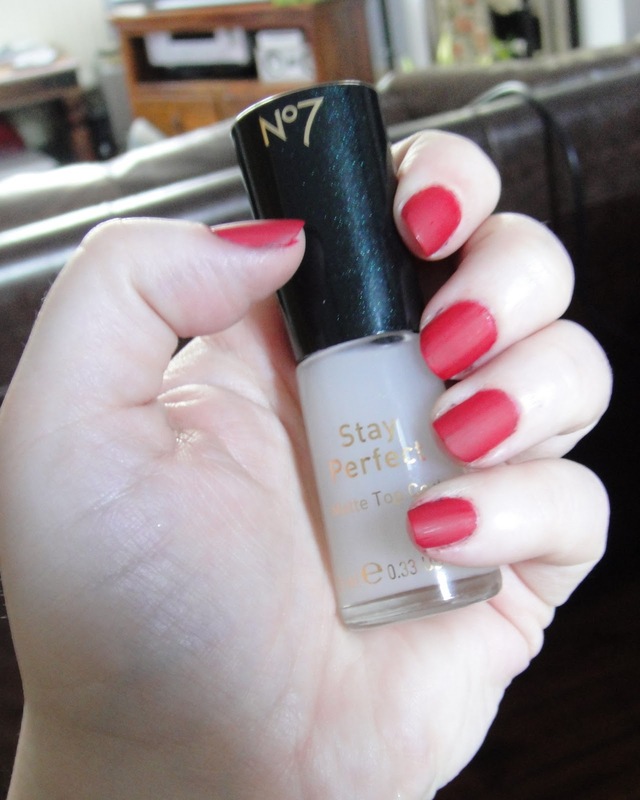 No7 Stay Perfect Matte Topcoat will be available in Boots stores from August 11th, and will cost £7.25. I’ve just doubled my varnish wardrobe! Hmn … wonder what matte toenails will look like? The Fine Print: Both items featured in this post were provided by PR for review purposes. Opinions are all my own work, feel free to ignore them though, it’s cool. I love mattified reds and purples, I've been using China Glaze Matte Magic but will definitely give the No.7 one a go too when it comes out, as it will hopefully be much easier for me to get hold of! Oooh, cool-toned red! I like it. I like the matte version too, although I bet it accelerated the chipping process. Still tooth-gnashing over missing the No7 event. I will definitely get the matte topcoat when it appears in store I think. I had a matte topcoat years ago by Agnes B and it was a lot of fun transforming everything into matteness.